With the planned opening of a second terminal at Thailand’s U-Tapao Airport in the second half of 2016, the knock-on effect is expected to have positive repercussions for Pattaya’s real estate sector. Over the past few years Bangkok’s gateway Suvarnabhumi Airport and secondary entry point the re-invented Don Mueang have experienced soaring numbers and capacity is bursting at the seams. Enter a Greater Bangkok vision and the aging U-Tapao Airport has taken a commercial focus and its expansion program is nearly complete. One clear benefactor of the facility will be the nearby Pattaya area which is seeing a sustained push up in international flights, hence door to door access makes it an attraction option for second or holiday home buyers from the Asian region. 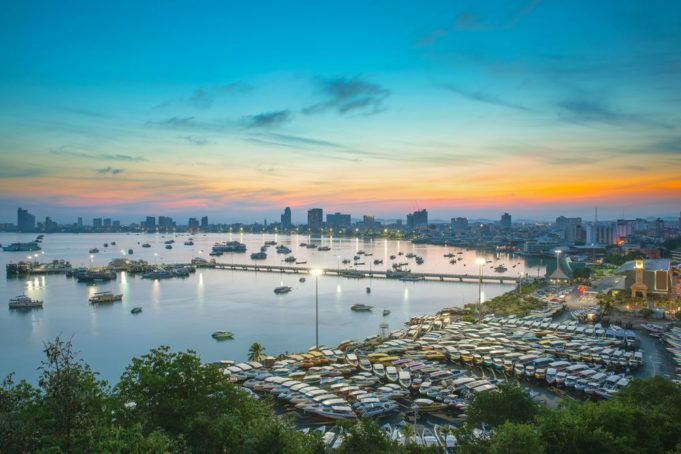 Push further afield and the entire Eastern Seaboard including Rayong and it’s coastal corridor leading to Pattaya could see real estate values boosted as a result of ramped up overseas demand. According to new research from online property resource FazWaz.com which has data on over 10,000 properties listings in the Pattaya market the average price per square meter for residential units is THB77,537. Looking at premium locations, there are two that have seen median values pushed over the THB100,000 level which are Baan Lamung and Wong Amat. Most of the products in the THB70,000 to 80,000 per square meter tier is located at Jomtien, Pattaya City and Pratumnak Hill. While the lower tier of more affordable properties is situated in the trio of Huai Chak, Nong Prue and Huai Yai. After the sharp decline of the Russian ruble that was triggered in the 2014 currency crisis, the Pattaya condominium sector was hard hit, given it’s reliance on Eastern European buyers. While tourism numbers are back on the positive growth swing the situation has created a large secondary market with enormous opportunities to purchase resale units. Thailand’s main leisure markets continue to attract high levels of international real estate buyers and the U-Tapao story looks to be a key instigator of broader progress.